My Occasional Blog: All Aboard! 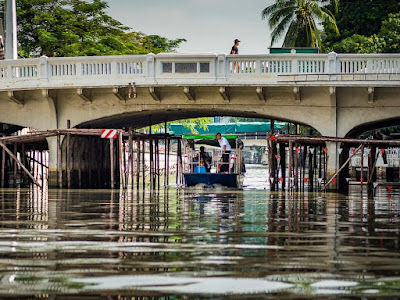 The new khlong boat makes its way up Khlong Phadung Kasem towards Hua Lamphong Train Station in Bangkok. Bangkok has a new khlong boat service. This city used to be known as the "Venice of Asia" because of the many khlongs (canals) that used to cut through the city. Most of the khlongs have been filled in or covered over in the name of development and now the "Venice of Asia" has some of the worst traffic in the world. 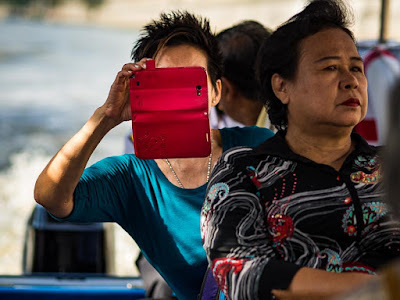 There are still one or two khlongs in Bangkok proper (on the east side of the Chao Phraya River) that have passenger boats, the biggest being Khlong Saen Saeb, which is served by very large passenger boats that haul commuters into and out of Bangkok but most of the khlongs are no longer navigable for boats. 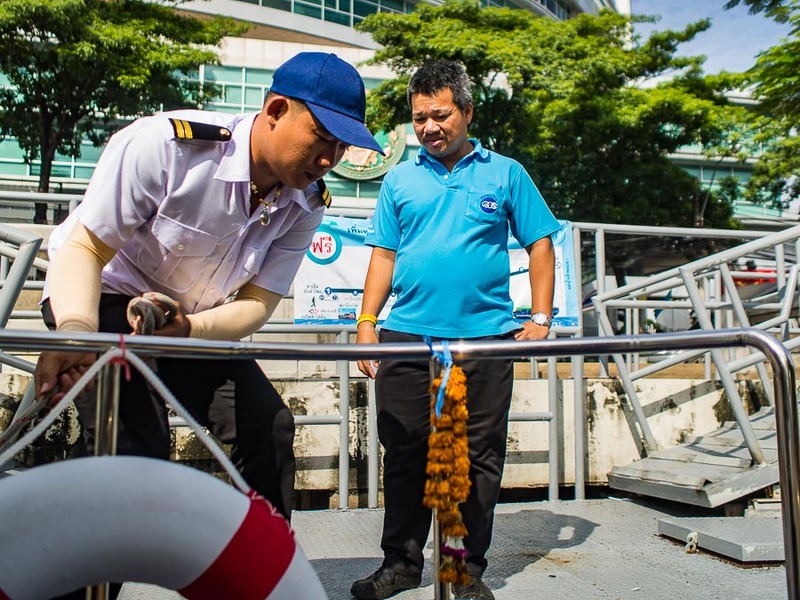 The national government has encouraged the city to explore ways of renovating the existing khlongs and the city recently started running passenger boats on Khlong Phadung Kasem. 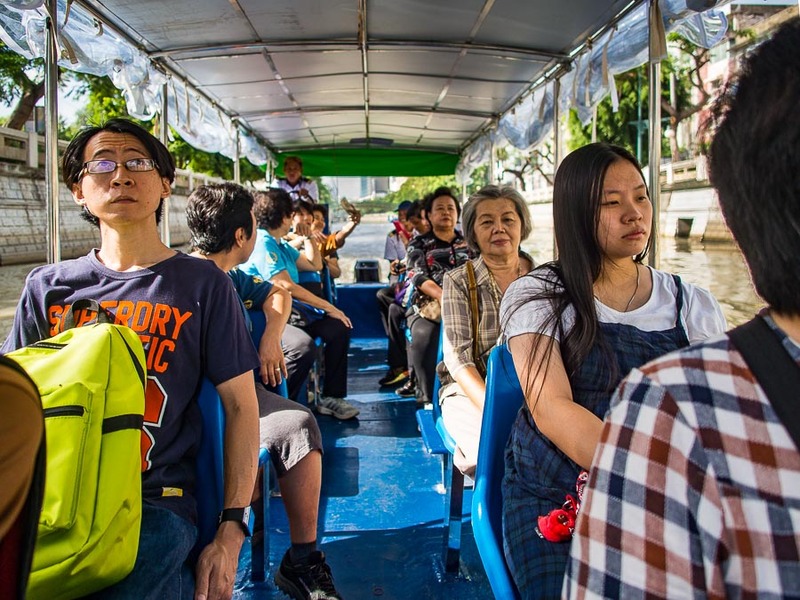 Passengers on one of the new khlong boats. I like this idea. The boats start at a pier near Hua Lamphong (the central train station) and follow canal on a broadly northwesterly route to Thewet Market. The route is still in the experimental stage, and it's free (for now). They're using converted garbage boats that have been thoroughly cleaned and have seats bolted to the deck. 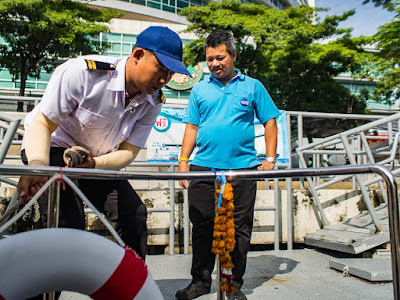 If the experiment is successful, the garbage boats will be replaced with proper passenger boats and there will be a small charge to ride the boat. A woman photographs her boat trip with a smart phone. I've traveled on the boat a couple of times. I like it, but I have to give it a mixed review. I like it because I like using mass/public transportation. I can take the skytrain to the subway, the subway to the pier (it's about a 300 meter walk from the end of the subway to the pier) and then the boat to my destination in the old part of Bangkok. The mixed review is because the boat is very slow. And the canal, which passes through some interesting parts of Bangkok, is so far below street level and that you can't see anything but concrete embankments. A boat approaches Hua Lamphong. 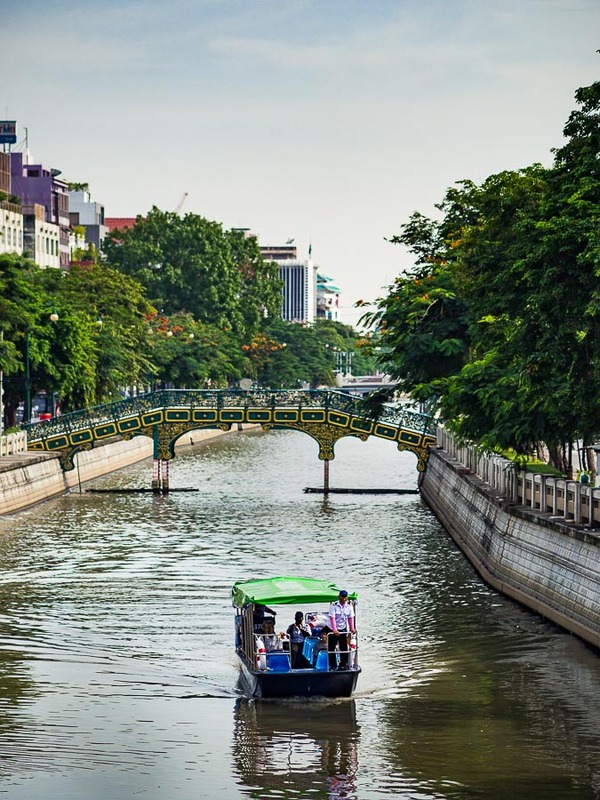 The canal embankments are so tall that you don't have much of a view of Bangkok's streets during your cruise. A crewman holds the boat in place while a passenger prepares to board. Even if it's not perfect I have to give credit to city officials for trying something new. Anything that relieves Bangkok's horrible traffic congestion is a good thing.